Teachers, nowadays, have shifted away from traditional modes of teaching with classrooms, huge bags of books, notebooks and jotting down of notes, etc. They are introducing various media to deliver teaching in the classroom. 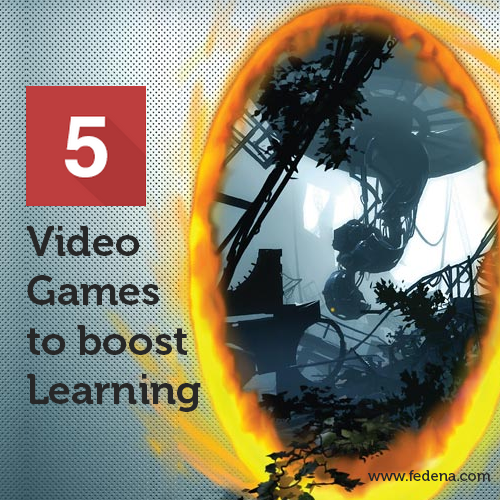 And one of them is the use of video games to boost learning. Video games are not just for fun. They can be great sources of learning too! We bring you 5 such interesting video games that are not just for entertainment, but for some learning as well. 1. Civilization V: The several award-winning strategy game, Civilization V has sold some 9 million units all over the world. Children belonging to the age group of 6 to 12 years and above can easily deal with the game that teaches problem-solving skills, management of resources, collaboration, apart from the usual strategy building. Civilization V also throws light on political tactics, diplomacy, communication and also hoarding and trading. 2. Portal 2: This first-person puzzle video game is perfect for students to learn collaboration, problem-solving, visualization as well as develop thinking strategies. Portal 2 is ideal for children within the age group of 4 and 12 years and above. Portal 2 is one of the best examples of video games that promote cognitive thinking instead of action and violence. Sequel to 2007’s Portal, Portal 2 is developed by the masterminds at Valve who bring us the ever-loved Half-Life and Half-Life 2. 3. Crayon Physics Deluxe: Crayon Physics Deluxe is a puzzle game that helps students develop drawing skills, creativity, puzzle solving capabilities and a lot of physics. A 2D physics puzzle/sandbox that makes simple drawing into real physical objects. The possibilities are endless here as you are allowed to draw anything that can help solve a puzzle. There are even user-created levels. 4. Braid: Another amazing game to teach students some puzzle-solving skills and creative thinking, Braid was developed by Number None, Inc and was released in the year 2008. A platform game, Braid allows the player to manipulate the time flow to manage the puzzles. 5. World of Goo: World of Goo was developed by 2D Boy, an independent game developer and was released way back in 2008 on Wii and Microsoft Windows platform, and later released on Linux, Mac OS X and even mobile devices. This video game can teach students some lessons on resource management, some physics and of course, how to deal with the puzzle. 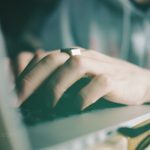 Artificial Intelligence in education – How it improves the learning experience? How has school management software changed learning?